Randall & Quilter Investment Holdings plc, also known simply as R&Q, is an investment holding company focused mainly on operations having to do with non-life insurance products. The company’s business model is built on acquiring insurance companies currently in runoff or providing management services to those companies if they don’t wish to be acquired. 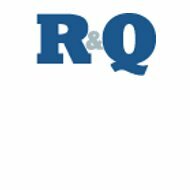 R&Q also provides reinsurance services and captive management and buyout. If you enter your zip code into our free search tool, you’ll be given access to online health insurance rates from providers in your area. R&Q is based in London but has operations in the United States, Bermuda, Canada, and several European cities. They are a global investment company with a strong track record of wise investments and good return on investor dollars. The company was originally formed in 1991. Since this is a health insurance review, we will focus on this portion of the company’s business. Like many global insurance holding companies, R&Q does not provide health insurance policies directly to consumers. However, it is heavily involved in the area of insurance captives. Through these captives individual consumers may have health insurance products under a variety of brand names but underwritten by R&Q. In case you don’t know, a captive is an insurance company formed by a company or nonprofit for the purpose of providing insurance coverage to its own members. They are often used by large corporations as a means of self insuring their employees. It allows them to provide benefits packages at a lower cost than acquiring those packages through third-party providers. As part of captive employee benefits, health insurance is often included. Therefore, when R&Q requires a captive or provides management services for it, they are effectively underwriting policies offered by the captive. In this way, it is possible for consumers to have R&Q health insurance without even knowing it. These types of policies can be either standard policies or PPO plans. The size and scope of R&Q’s business dictates that utilizing local agents is not practical. The fact is R&Q is an investment and holding company rather than a commercial insurance enterprise. All of the products and services they provide are handled directly by one of their worldwide offices. The only exception to this rule might be individual captives who might utilize their own local agents. In that case, agents will be limited to the coverage area of the captive. Just like with the topic of agents, to speak of claims in terms of insurance products offered by R&Q leads to nowhere. Any claims related to this company would go through the particular captive or insurance company acquired by R&Q. In the case of an insurance company in runoff, claims are still handled through their normal channels even though R&Q has acquired them. Essentially, R&Q remains in the background and allows their portfolio companies to continue with business as usual. Under this arrangement, consumers are rarely even cognizant of R&Q as the parent company of their insurance provider. Usually the only time this is revealed is when litigation ensues or one of their subsidiaries ends up becoming financially unviable. Even then, consumers don’t view R&Q as directly involved in the insurance transaction. They are seen simply as a holding company, which provides the financial capital to make the insurance company operable. R&Q’s business is primarily divided into three sectors: insurance investing, reinsurance underwriting, and captive management. The company currently employs about 350 people worldwide in a variety of positions. Their website provides a careers link, which gives prospective candidates a brief description of what the company offers. In checking that link, we discovered there is only one position currently open. To apply for the position, or any others that should open in the future, candidates would visit the website and download an informational package in PDF format. They would then follow the instructions for preparing a CV and sending it along with a cover letter to the London headquarters. At this time, it appears as though all hiring goes through London regardless of the geographical location of the position. Despite R&Q’s claim of continued growth, it remains unclear as to whether or not new job opportunities will open up in the near future. Searching for online health insurance quotes is not always the most pleasant task, but we make it easier by allowing you to begin your search by just entering your zip code in our search tool.